The Ashkenazim read the Haftorah from the book of Yishayahu (Isaiah) 27:6-28:13, and 29:22,23. Detail of the Isaiah Scroll found in Qumran. The connection of the Haftorah to the Parsha: Ashkenazim: This week’s Haftorah begins with the story of how Hashem caused Yaakov’s family to multiply while in Israel. This relates to the Parsha because it also discusses how Hashem helped the Jews multiply while in Egypt. The storyline of this week’s Haftorah: Ashkenazim: Hashem criticizes the Jews for overindulging in physical pleasure, especially when he is bestowing goodness upon them in their times of strife. Hashem blessed Bnei Yisroel with many children and plenty of food to eat while they resided in Egypt. He even showed mercy when bringing forth punishment on Bnei Yisroel. When Hashem seeks retribution for other nations’ sins, His punishment is more severe. Yishayahu commands the inhabitants of the kingdom of the Ten Tribes to destroy their idols. He encourages the Jews to do teshuva, repentance, for then they will be redeemed. However, the kingdom of the Ten Tribes does not heed Yishayahu’s advice and overindulge in physical pleasures, which results in their exile. The Kingdom of Yehudah, Judah, also sins by overindulging in food, drink, and merriment. Yishayahu reminds Bnei Yisroel that there will be punishment if they ignore his reproof, which they proceed to do. However, the Haftorah concludes on an optimistic note that one day, Yaakov (Jacob) will be proud of his descendants. For ultimately, the Jewish people will behave as they should, following in Derech Hashem, The ways of Hashem. The definition of his name is “Salvation of G-d”. Was killed by Menashe, the King of Judah. Yishayahu was hiding from Menashe, the King of Judah, in a tree, but as Menashe was passing by the tree, he spotted Yishayahu’s tzitzit hanging out of the tree. Menashe then cut clean through the tree, killing Yishayahu. Yishayahu was killed cut through his mouth as a midah kineged midah, measure for measure, for speaking lashon hara about the nation of Israel. 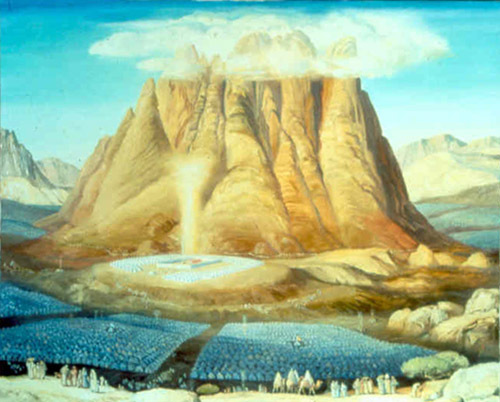 Famous phrases from Yishayahu (Isaiah): Isaiah 66:8, “Mi shamah ka’zot mi ra’ah ka’ayleh” “Who has heard of such a thing, who has envisioned something like this?” This refers to the envisioned Messianic Era when the Jewish People will emerge spiritually victorious after so many generations of exile.